Inspired by Barilla and its passion for pasta, the Al Dente collection is lovingly fabricated by Delicacies Jewelry for people who love pasta. (And really, who doesn't love pasta?) 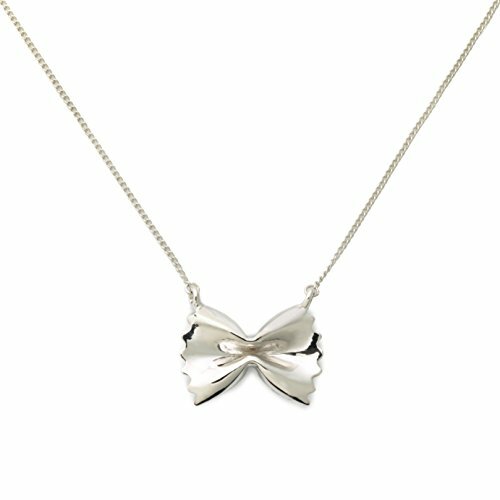 The farfalle, cast in .925 sterling silver, measures almost 5/8 inches wide and 3/4 inches tall. It has seven points on each side, just like Barilla's version of the classic bow tie. Here's a little history we dug up about the farfalle: Farfalle look like frilly bow ties, a classic fool. But often it is the fool in fairy tales and myths who illuminates the path to wisdom. This pendant can be worn by those who wish to lighten up and let go. Meditate on innocence as a state of being and as a vehicle to pure joy. If you need more happiness in your life, keep this little jester close to your heart. The farfalle pendant promotes passion, happiness, creativity, and renewal. Inspired by Barilla and its passion for pasta, the Al Dente collection is lovingly fabricated by Delicacies Jewelry for people who love pasta. (And really, who doesn't love pasta?) Cast in .925 sterling silver, the penne rigate pendant measure 1-inch wide, and 1/5-inch tall. We've dug up some history on the penne rigate for you to enjoy: If you are a lover of language, wear the penne rigate, the little pasta with deep cuts. This short, lined tube is named for the Italian word for "quills", which gives this charm all the power of the written word. It is a reminder of what it means to be human, of the grace and fragility of our life experience, for we write to shape the world around us and to record its events. 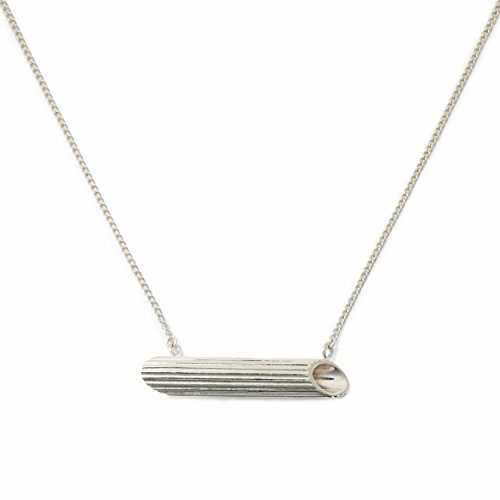 The penne rigate pendant promotes passion, focus, and creativity. Inspired by Barilla and its passion for pasta, the Al Dente collection is lovingly fabricated by Delicacies Jewelry for people who love pasta. (And really, who doesn't love pasta?) Cast in .925 sterling silver, the cellentani pendant measures 9/10-inch wide, and 1/4-inch tall. It's loose spiral makes for a gorgeous neckpiece. We've dug up some history on the cellentani noodle for you to enjoy: Don't hesitate, don't delay, don't waste a precious moment of your time on this Earth. Soak up everything you can, and always seek more. Cellentani rides the spectrum: it does not distinguish between highs and lows. Wear this if you want the freedom of movement, to simply enjoy life's journey. If you're up for any adventure, if you feel every feeling, this is your spirit pasta. 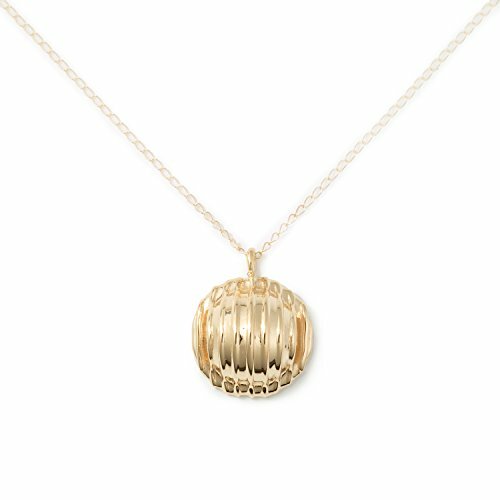 The cellentani pendant promotes passion, perseverance, and love. 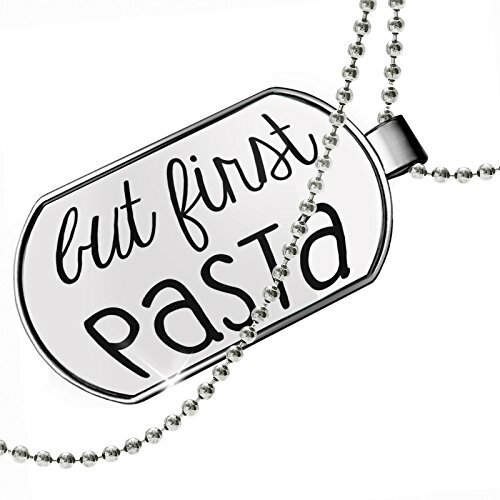 Inspired by Barilla and its passion for pasta, the Al Dente collection is lovingly fabricated by Delicacies Jewelry for people who love pasta. (And really, who doesn't love pasta?) 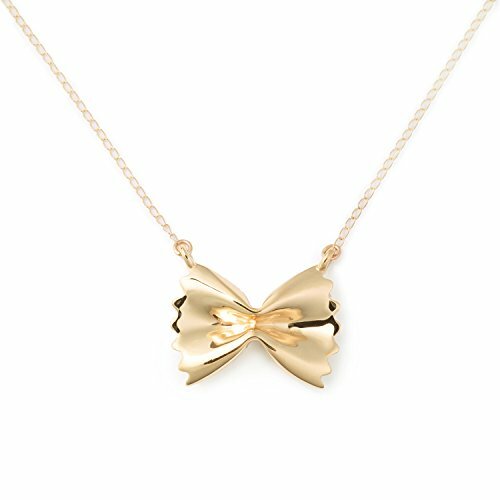 Cast in 14K gold, the farfalle pendant measures almost 5/8 inches wide and 3/4 inches tall. It has seven points on each side, just like Barilla's version of the classic bow tie. 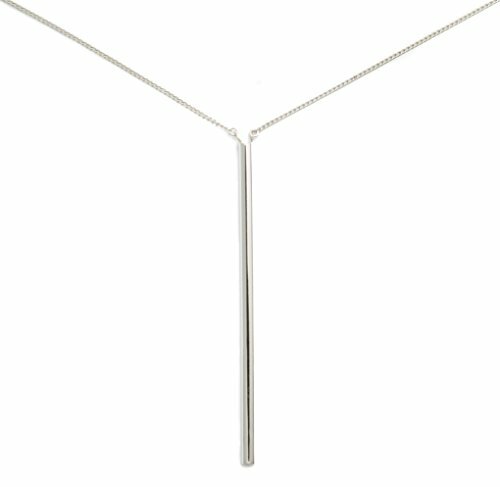 The pendant comes attached to a classic 1 mm, 14k yellow gold chain, adjustable to 16-inch or 18-inch lengths. Here's a little history we dug up about the farfalle: Farfalle look like frilly bow ties, a classic fool. But often it is the fool in fairy tales and myths who illuminates the path to wisdom. 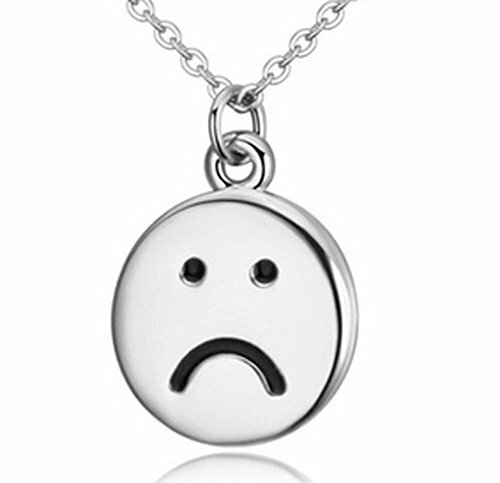 This pendant can be worn by those who wish to lighten up and let go. Meditate on innocence as a state of being and as a vehicle to pure joy. If you need more happiness in your life, keep this little jester close to your heart. The farfalle pendant promotes passion, happiness, creativity, and renewal. Inspired by Barilla and its passion for pasta, the Al Dente collection is lovingly fabricated by Delicacies Jewelry for people who love pasta. (And really, who doesn't love pasta?) Cast in .925 sterling silver, our version of pasta's "little ear" measures almost 1/2' diameter around. Here's a little history we've dug up about the orecchiette pendant: Wear orecchiette, the little ear, to listen closely to what the universe is whispering. There is music from the stars that reverberates in our ears; there is a voice inside each of us that tells us our soul's desire. But there is so much noise around us that it is often difficult to hear these essential sounds. Wear this precious charm, a symbol of silence, if you want to quiet your mind, learn to speak less and listen more. The orecchiette pendant promotes passion, wisdom, and comfort. Inspired by Barilla and its passion for pasta, the Al Dente collection is lovingly fabricated by Delicacies Jewelry for people who love pasta. (And really, who doesn't love pasta?) 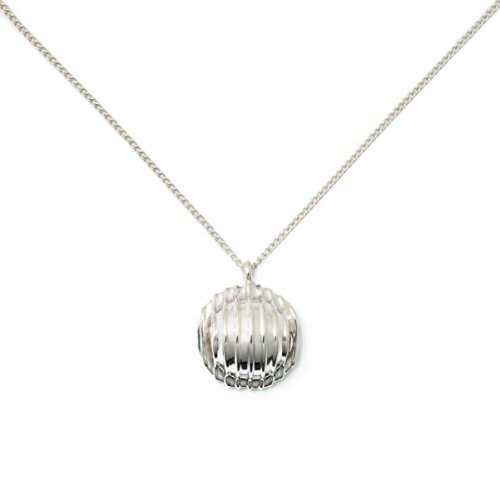 Cast in .925 sterling silver, the bucatini pendant drops 2 1/4 inches and is 1/16 inches in diameter. Like the real thing, our bucatini pendant is hollow! We've dug up some history on bucatini for you to enjoy: This long noodle has a hidden dimension: it is hollow in the center, robust yet malleable, and super strong. Do you dream of skyscrapers, mountains, or traveling to space? If your ambitions are vast, this is your spirit pasta. Bucatini carries precious energy, like bone with its marrow, and is best served to those who can withstand surprise. Life is full of possibilities, the best of which are unexpected. The bucatini pendant promotes strength, wisdom, passion, and perseverance. Inspired by Barilla and its passion for pasta, the Al Dente collection is lovingly fabricated by Delicacies Jewelry for people who love pasta. (And really, who doesn't love pasta?) Cast in 14K gold, our version of pasta's "little ear" measures almost 1/2' diameter around. The pendant comes with a classic 1 mm, 14k yellow gold curb chain that is adjustable at 16″ and 18″. Here's a little history we've dug up about the orecchiette pendant: Wear orecchiette, the little ear, to listen closely to what the universe is whispering. There is music from the stars that reverberates in our ears; there is a voice inside each of us that tells us our soul's desire. But there is so much noise around us that it is often difficult to hear these essential sounds. Wear this precious charm, a symbol of silence, if you want to quiet your mind, learn to speak less and listen more. The orecchiette pendant promotes passion, wisdom, and comfort. 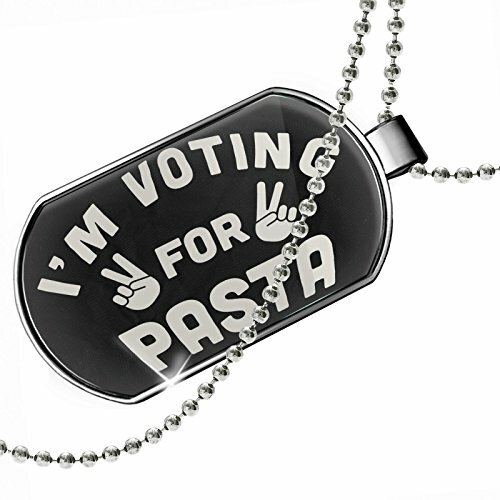 Compare prices on Pasta Necklace at ShoppinGent.com – use promo codes and coupons for best offers and deals. Start smart buying with ShoppinGent.com right now and choose your golden price on every purchase.